Bring us your headaches, your sciatica, your frozen shoulder. We’ll work with your sports injuries, the crick in your neck and that hitch in your lower back. 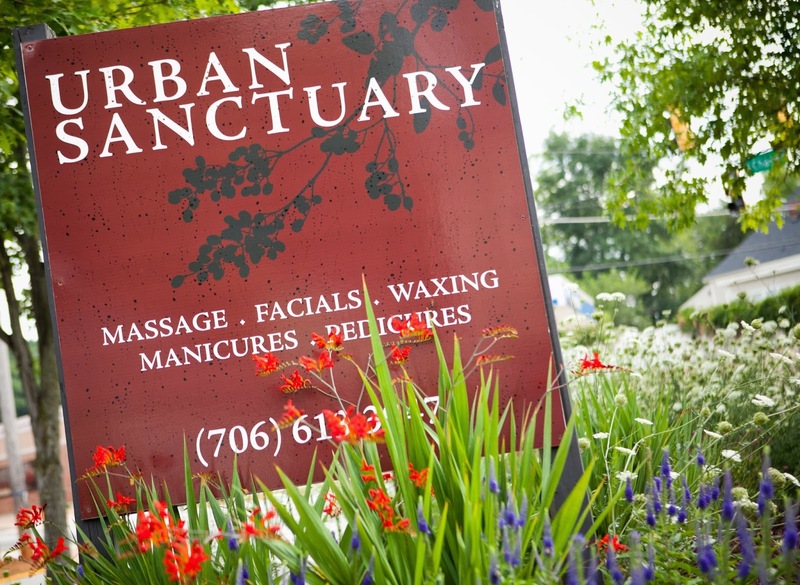 At Urban Sanctuary we have a strong track record of results producing massages that make a measurable difference in the chronic pain and stress ailments that you are dealing with. Ask for deep tissue, myofascial, sports massage, deep therapeutic foot massage or let us make a specific recommendation to address what ails you. Urban Sanctuary won Best Day Spa in Athens. We’ve enjoyed a Beautiful Business Award and a Historic Preservation Award. The greatest honor of all has been to be voted Athens’ Favorite Day Spa by the readers of Flagpole Magazine for three consecutive years. We are a Man-Friendly Spa. We had men in mind when we designed our space. We have a Men’s Service Menu, which includes Massage, Pedicures, Facials and Waxing. Men are welcome to unwind and to enjoy services designed specifically for them. Unwind at Urban Sanctuary together. We have many offerings for groups and for pairs. Mother Daughter Spa Days, Birthday Parties, Spa Parties, Bridal Spa Services, Staff Parties and Services for Couples. We maintain eco-friendly practices in our day-to-day operations. We carry many eco-friendly product lines as well as organic products, natural, fair trade, handmade, free trade, cruelty free, chemical free, vegan and biodegradable products and gifts. Unwind in this tranquil and serene space. Our clients do not have to compete with the hustle and bustle of a salon. The colors, the aromas and the music weave together naturally to create the perfect space to unwind. That gives you plenty to choose from. Our estheticians are passionate about skincare and give extraordinary customer service. Have a facial that addresses your unique skin type and learn how to best care for your face at home with wholesome, natural and effective products. 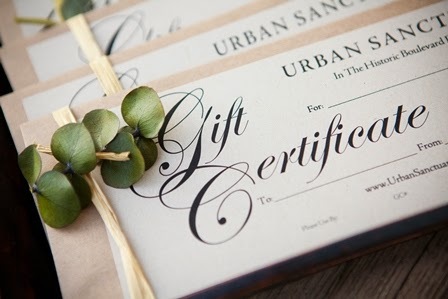 At Urban Sanctuary we are committed to excellent customer service. We stand firmly behind that with a money back guarantee. If you are not happy with your service, we will offer you a “do-over” to ensure that your experience meets your expectations–or you can have your money back. You deserve to feel happy and well taken care of and you will be, here at Urban Sanctuary.